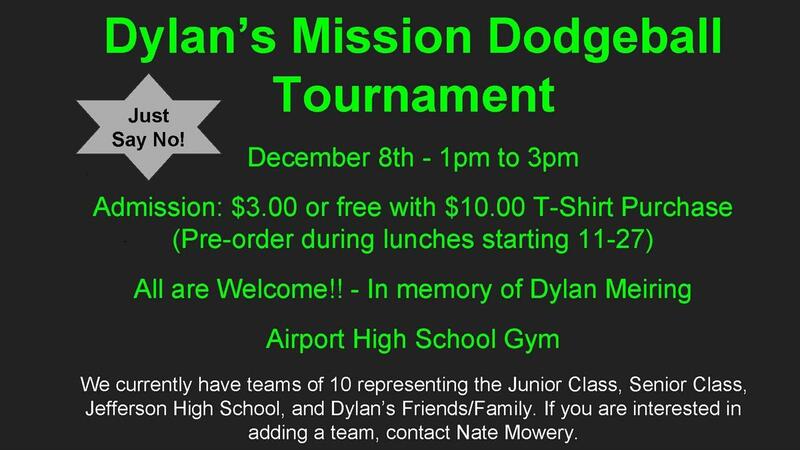 Come on out and watch an old fashioned Dodgeball Tournament on December 8, 2018 at 1:00 pm. All proceeds will go Dylan's Mission. Admission $3.00.